Here's a new watercolor painting of a women. 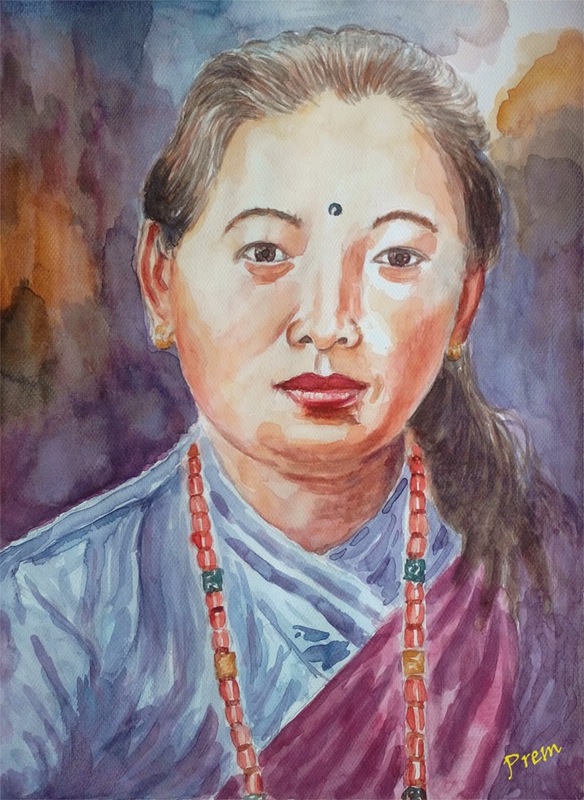 This painting is the first watercolor portrait I did and this painting will also go to the collection for charity, as I explained in previous post. This painting is not the best of the art-works. However, I think this is an indication that I can do much better with practice and motivation. However, due to various reasons (or excuses) I feel demotivated quite often. I even plan to work a lot but just don't do it. Hope, I'll be able to work out according to my plan soon. I'm doing a new portrait commission, which will be the second watercolor portrait I'll make. The proceeds from this commission will also go to the charity. In fact, I think it will be the first sale for the charity which amounts to Rs. 500. What I just need to do is, complete it and deliver it.